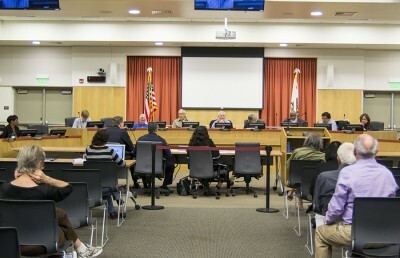 Berkeley City Council unanimously passed a new law raising the minimum wage to $15 per hour by 2018 at a special meeting Friday, as well as an ordinance raising employees’ maximum paid sick leave to 72 hours. The newly approved law will take effect despite a City Council-backed measure already existing on the November ballot that would raise the minimum wage to $15 by 2019. This measure, along with a union-backed measure, will still appear on the ballot, with City Council urging voters to vote no on both. 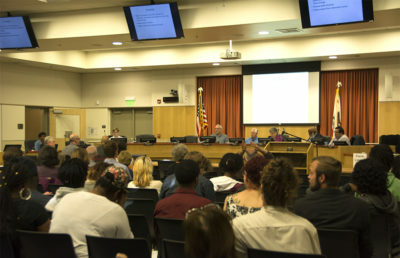 “I don’t think anyone in this room doesn’t believe that we should have a higher minimum wage than we do today,” Councilmember Laurie Capitelli said at the meeting, adding that the ordinance came after significant community input. The next step, according to East Bay Municipal Utility District Director Andy Katz, is making sure that Berkeley voters are properly informed about City Council’s caution to vote no on the still-existing ballot measures. 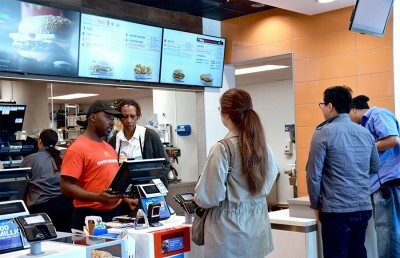 Councilmember Jesse Arreguin said he is glad the city is coming together to support raising the minimum wage sooner rather than having voters split on the conflicting ballot measures. He said, however, that there is more to be done. 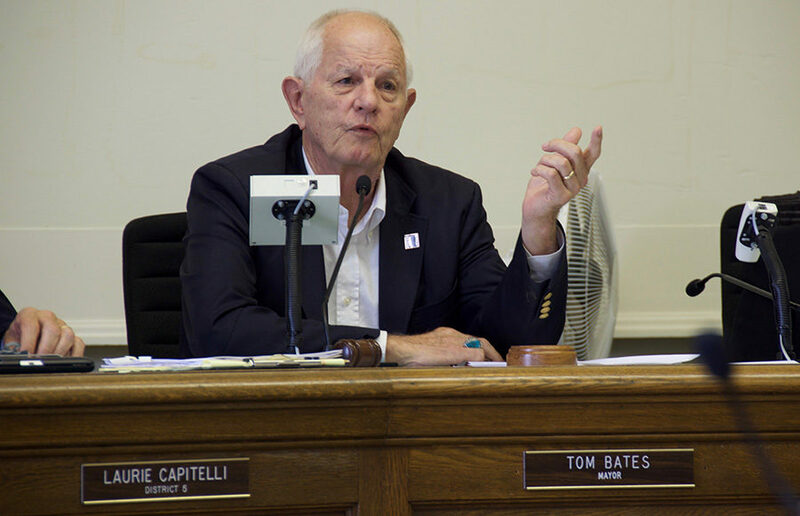 Mayor Tom Bates agreed that the ordinance is positive for the community and added that in order to ensure economic justice, City Council should start collaborating with other local governments to establish a regional minimum wage. “We need to be together on this,” Bates said, noting that Berkeley’s minimum wage will be higher than most other cities in the region. While many at the meeting expressed support for raising the minimum wage, some worry that the ordinance will be a burden on small businesses. Gina Moreland, who founded Habitot — a not-for-profit Berkeley children’s museum — said that although the minimum wage should be raised, the 2018 deadline is not financially feasible for small businesses and not-for-profits already struggling to pay the current minimum wage. For employees of small businesses, the ordinance to raise the maximum amount of paid sick leave is capped at 48 hours. According to Councilmember Kriss Worthington, City Council should make a greater effort to benefit small businesses. “If we can fix the permit delays that cost them tens of thousands of dollars, if we can fix the parking problems … and do at least a little bit about the high rents, I think we’ll be treating our small businesses much more fairly,” Worthington said during the meeting. A second reading of the ordinance and its amendments will be held at 9 a.m. Monday, followed by a closed session meeting at 9:15 a.m. to discuss the ballot measures. Contact Pressly Pratt at [email protected] and follow her on Twitter at @presslypratt.